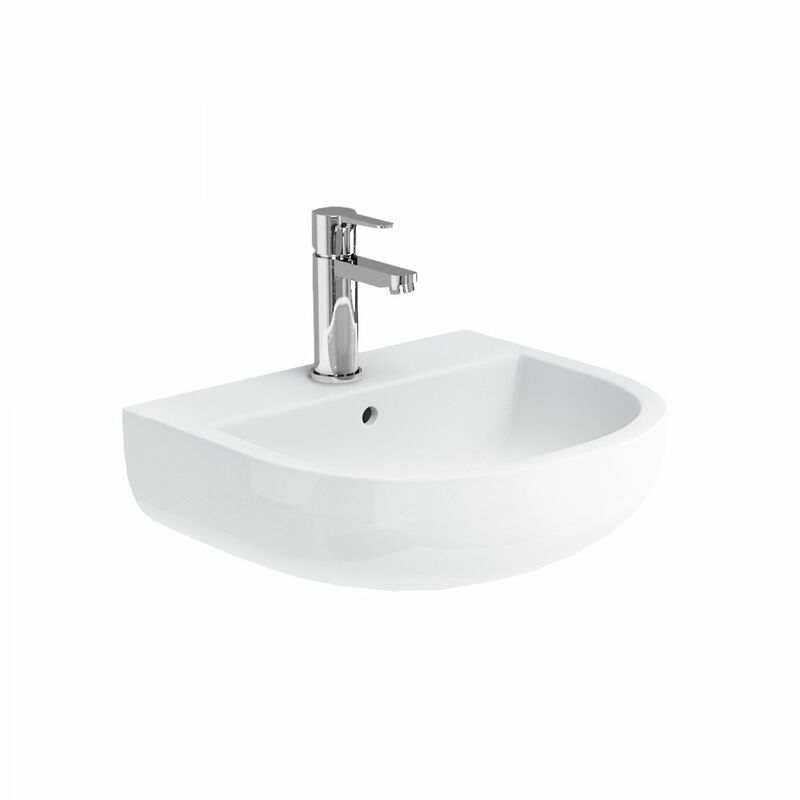 The Compact Basin features with modern semi-round washbasin is made with Vitreous China designed to be more durable, shinier, sanitary and stain resistant surface. 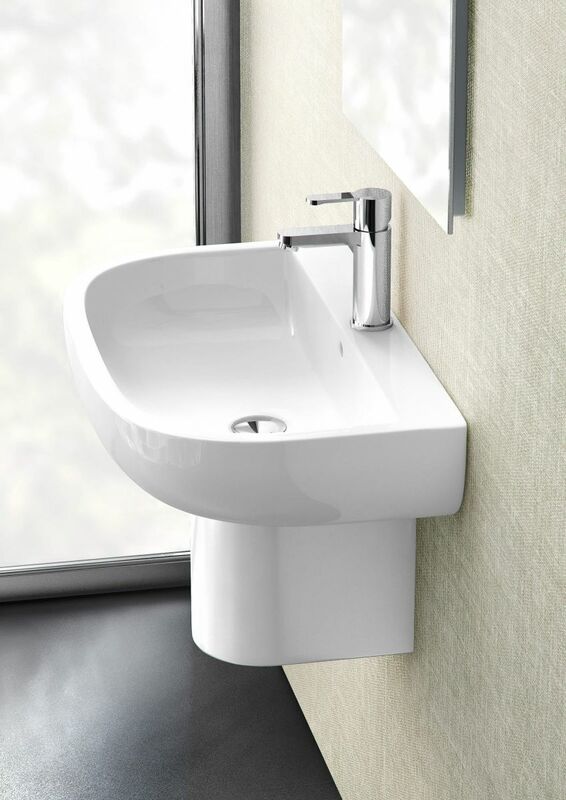 The beautiful curved lines give it modern yet so compact design, ideal for a small modern bathroom space. 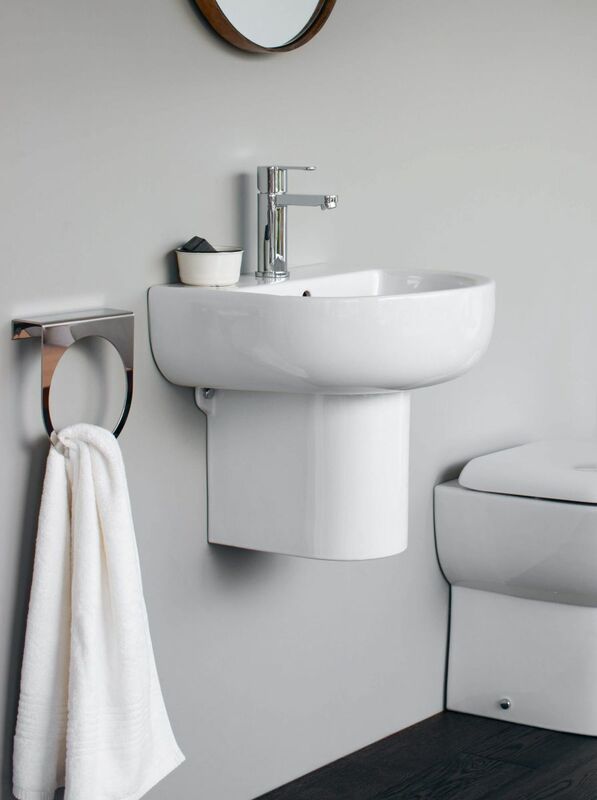 Pair it with our Round Semi Pedestal to hide away the bottle trap to keep it minimal modern look. 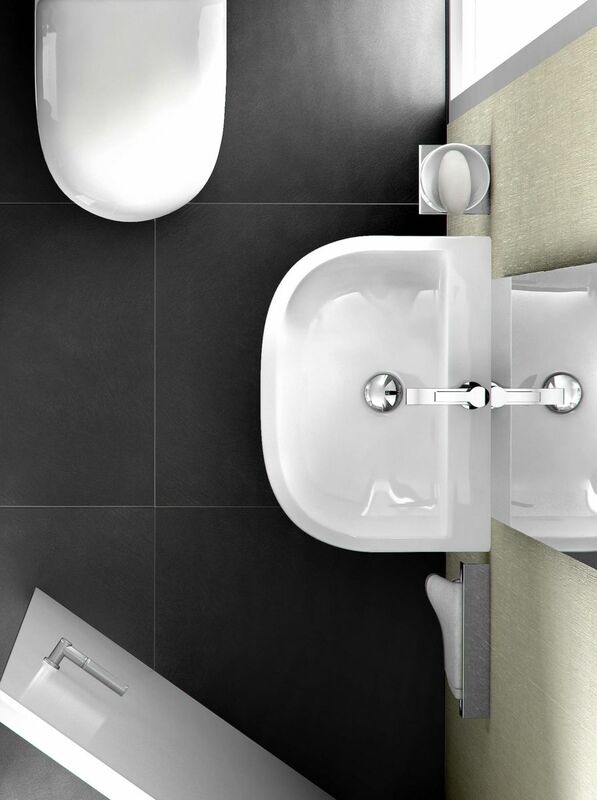 - Ideal for accessible bathrooms. - Made with Vitreous China. 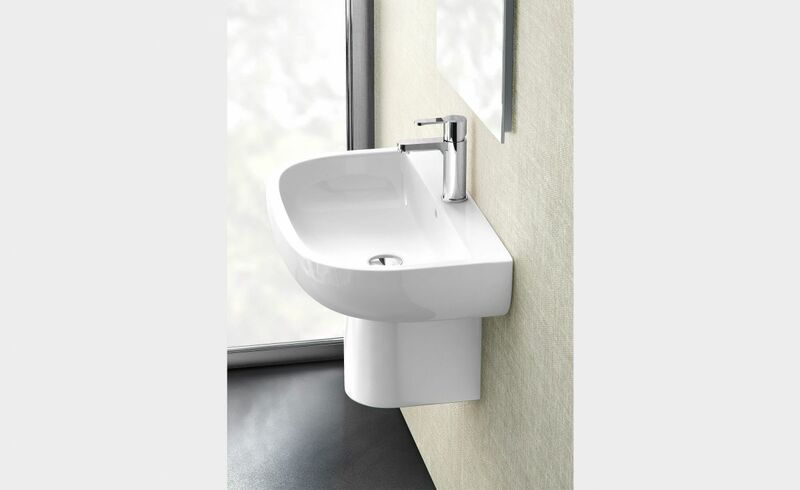 - Semi-round curved design give it modern yet compact and ideal for a small space. 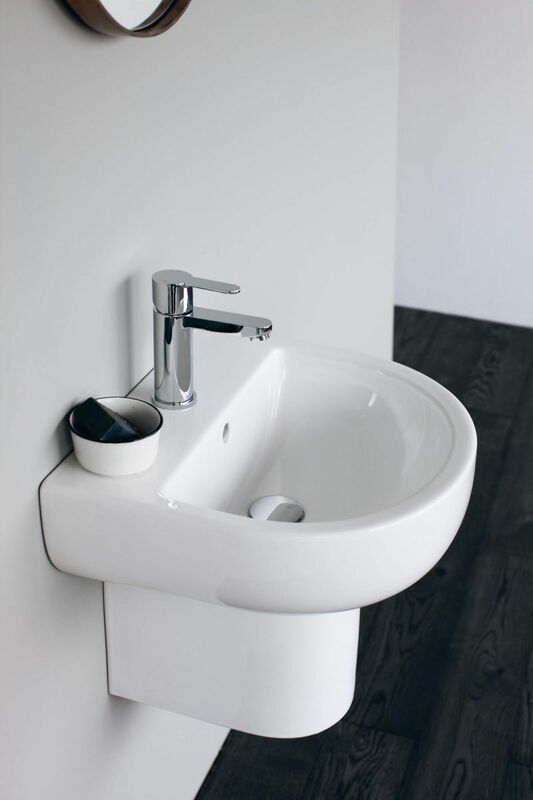 - Pair it with our Round Semi Pedestal* to hide away the bottle trap and keep it minimal modern look. - Available in 450mm and 550mm size. 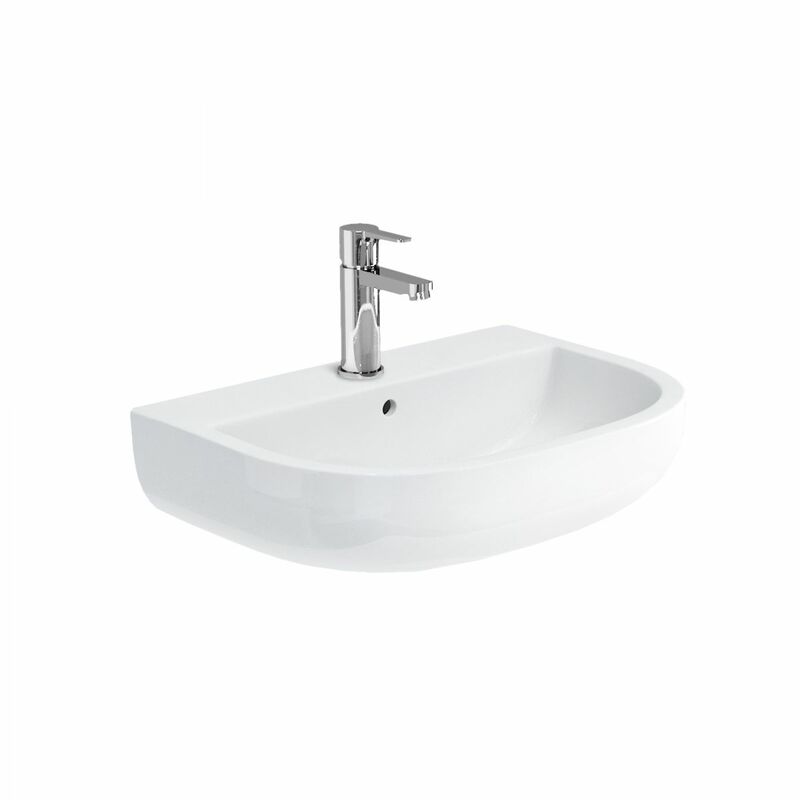 - Excludes tapware & accessories. 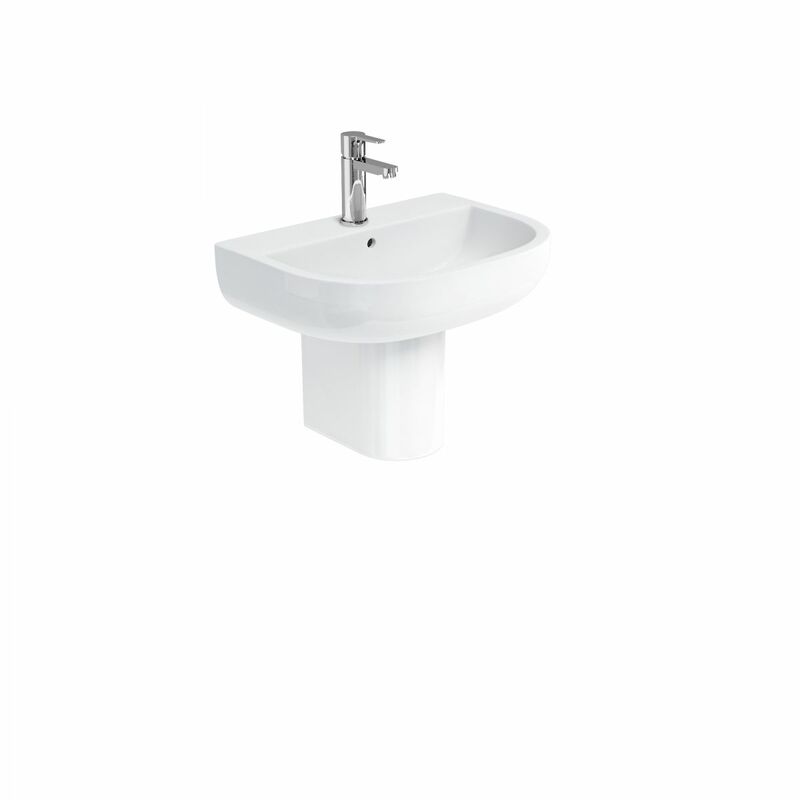 - Additional cost for Round Semi Pedestal.